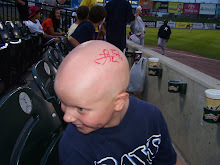 Autographs 4 Alopecia: Thanks Kyle! 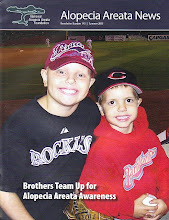 I've mentioned a few times about our friend Kyle from Long Island. He just sent me some more Long Island Duck schedules autographed by their SS Dan Lyons. I like how the Ducks have 4 different schedules they have through the year and not just one. Thanks again Kyle. I hope it is the Ducks and Barnstormers in the Atlantic League Championship this year...should be a fun series. Game 34: Happy Birthday Isaac! Game 28: More Duck Hunting!